I guess there's no acceptable excuse as to why I'm posting this journal late. Yeah. Let's skip the part. haha :) I just want to post this for future reference. *wink* I really do enjoy re-reading my journals and other blog posts. So, yeah. Our focus for the first two weeks of December was getting through the Program Implementation Review. We’d been busy collecting, consolidating and analyzing the data from the Rural Health Unit. Once finalized, we prepared for the presentation of the said accomplishments. 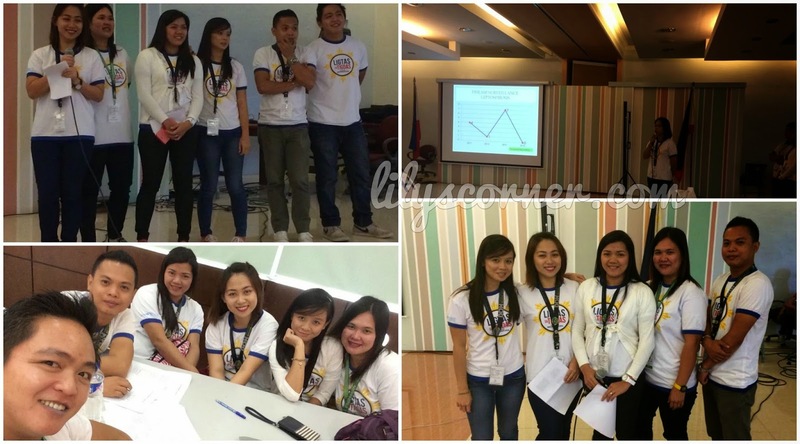 On December 4, we had our Provincial Program Implementation Review which was held in Central Luzon State University. During that activity, we were given an overview of the PIDSR cases the province had for the past 4 years, as well as a short review on Event-based Surveillance and Response. Selected NDPs also presented their Scorecards. The Regional Program Implementation Review was later held on December 12. Our municipality was chosen to present first since we were the lowest performer for the recently concluded MR OPV campaign. Our group decided to divide the presentation among ourselves so that each of us has a part to play. We received constructive criticisms afterwards. The remaining days of the month were spent updating the list of and tracking our defaulters. We also monitored cases of Fireworks Injuries and submitted the reports to concerned offices. Cooperation played a big role in our accomplishments this month. We came prepared to our PIR because we were able to gather data few weeks beforehand. We were also able to discuss and analyze the data and came up with answers for possible questions together. It was made possible through everyone’s participation, hard work and patience. Before the PIR, we were all hesitant in presenting our municipalities’ accomplishments because even in our level, we know how low they are. But doing so provided us an opportunity to see what really needs to be done. The opinions we got from our DMOs will really be helpful for the coming months. We still find it quite hard to retrieve data from certain people in the RHU. Though we can work around in order to get what we need, there are times when we really run out of time to meet deadlines. Another thing is, sometimes, some RHU staff doesn’t take the urgency of providing needed reports seriously. We have to repeat ourselves over for them to give what’s being asked. Perhaps a meeting or orientation with RHU staff would help in addressing the above problems. Also, if at all possible, important information or orders should be given to concerned individuals/RHU staff directly and not coursed through NDPs so they’ll put in more effort and concern on the needed reports. We had been really busy, see? :p We're just thankful that we survived December and we're rewarded with a long vacation to replenish all our lost energy! haha. Cheers to a year-long service to the community!